Technical bias. Some organisations produce bad evidence, some parts of government cherry-pick, manipulate, or ignore evidence, and some politicians misinterpret the implications of evidence when calculating risk. Sometimes, these things are done deliberately for political gain. Sometimes they are caused by cognitive biases which cause us to interpret evidence in problematic ways. For example, you can seek evidence that confirms your position, and/ or only believe the evidence that confirms it. Issue bias. Some evidence advocates use the mantra of ‘evidence based policy’ to depoliticise issues or downplay the need to resolve conflicts over values. They also focus on the problems most conducive to study via their most respected methods such as randomised control trials (RCTs). Methodological rigour trumps policy relevance and simple experiments trump the exploration of complex solutions. So, we lose sight of the unintended consequences of producing the ‘best’ evidence to address a small number of problems, and making choices about the allocation of research resources and attention. Again, this can be deliberate or caused by cognitive biases, such as to seek simpler and more answerable questions than complex questions with no obvious answer. ‘it is necessary to consider how to establish evidence advisory systems that promote the good governance of evidence – working to ensure that rigorous, sys­tematic and technically valid pieces of evidence are used within decision-making processes that are inclusive of, representative of and accountable to the multiple social interests of the population served’ (p8). Relate evidence more closely to policy goals. Modify research approaches and methods to answer policy relevant questions. Ensure that the evidence relates to the local or relevant context. Input, to ensure democratic representative bodies have the final say. Throughput, to ensure widespread deliberation. Output, to ensure proper consideration the use of the most systematic, unbiased and rigorously produced scientific evidence relevant to the problem. In the final chapter, Parkhurst suggests that these aims can be pursued in many ways depending on how governments want to design evidence advisory systems, but that it’s worth drawing on the examples of good practice he identifies. Parkhurst also explores the role for Academies of science, or initiatives such as the Cochrane Collaboration, to provide independent advice. He then outlines the good governance of evidence built on key principles: appropriate evidence, accountability in evidence use, transparency, and contestability (to ensure sufficient debate). 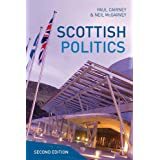 The overall result is a book full of interesting discussion and very sensible, general advice for people new to the topic of evidence and policy. This is no mean feat: most readers will seek a clearly explained and articulate account of the subject, and they get it here. For me, the most interesting thing about Parkhurst’s book is the untold story, or often-implicit reasoning behind the way in which it is framed. We can infer that it is not a study aimed primarily at a political science or social science audience, because most of that audience would take its starting point for granted: the use of evidence is political, and politics involves values. Yet, Parkhurst feels the need to remind the reader of this point, in specific (“it is worth noting that the US presidency is a decidedly political role”, p43) and general circumstances (‘the nature of policymaking is inherently political’, p65). Throughout, the audience appears to be academics who begin with a desire for ‘evidence based policy’ without fully thinking through the implications, either about the lack of a magic bullet of evidence to solve a policy problem, how we might maintain a political system conducive to democratic principles and good evidence use, how we might design a system to reduce key ‘barriers’ between the supply of evidence by scientists and its demand by policymakers, and why few such designs have taken off. In other words, the book appeals primarily to scientists trained outside social science, some of whom think about politics in their spare time, or encounter it in dispiriting encounters with policymakers. It appeals to that audience with a statement on the crucial role of high quality evidence in policymaking, highlights barriers to its use, tells scientists that they might be part of the problem, but then provides them with the comforting assurance that we can design better systems to overcome at least some of those barriers. 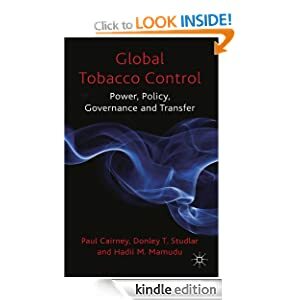 For people trained in policy studies, this concluding discussion seems like a tall order, and I think most would read it with great scepticism. Policy scientists might also be sceptical about the extent to which scientists from other fields think this way about hierarchies of scientific evidence and the desire to depoliticise politics with a primary focus on ‘what works’. Yet, I too hear this language regularly in interdisciplinary workshops (often while standing next to Justin! ), and it is usually accompanied by descriptions of the pathology of policymaking, the rise of post-truth politics and rejection of experts, and the need to focus on the role of objective facts in deciding what policy solutions work best. Indeed, I was impressed recently by the skilled way in which another colleague prepared this audience for some provocative remarks when he suggested that the production and use of evidence is about power, not objectivity. OMG: who knew that policymaking was political and about power?! So, the insights from this book are useful to a large audience of scientists while, for a smaller audience of policy scientists, they remind us that there is an audience out there for many of the statements that many of us would take for granted. Some evidence advocates use the language of ‘evidence based policymaking’ strategically, to get what they want. Others appear to use it because they believe it can exist. Keep this in mind when you read the book. Imagine that your audience is a group of scientists who have read everything and are only interested in something new. You need a new theory, method, study, or set of results to get their attention. Let’s say that audience is a few hundred people, or half a dozen in each subfield. It would be nice to impress them, perhaps with some lovely jargon and in-jokes, but almost no-one else will know or care what you are talking about. Imagine that your audience is a group of budding scientists, researchers, students, practitioners, or knowledge-aware citizens who are new to the field and only interested in what they can pick up and use (without devoting their life to each subfield). Novelty is no longer your friend. Instead, your best friends are communication, clarity, synthesis, and a constant reminder not to take your knowledge and frame of reference for granted. Let’s say that audience is a few gazillion people. If you want to impress them, imagine that you are giving them one of the first – if not the first – ways of understanding your topic. Reduce the jargon. Explain your problem and why people should care about how you try to solve it. Clear and descriptive titles. No more in-jokes (just stick with the equivalent of ‘I went to the doctor because a strawberry was growing in my arse, and she gave me some cream for it’). At least, that’s what I’ve been telling myself lately. As things stand, my most-read post of all time is destined to be on the policy cycle, and most people read it because it’s the first entry on a google search. Most readers of that post may never read anything else I’ve written (over a million words, if I cheat a bit with the calculation). They won’t care that there are a dozen better ways to understand the policy process. I have one shot to make it interesting, to encourage people to read more. The same goes for the half-dozen other concepts (including multiple streams, punctuated equilibrium theory, the Advocacy Coalition Framework) which I explain to students first because I now do well in google search (go on, give it a try!). I also say this because I didn’t anticipate this outcome when I wrote those posts. Now, a few years on, I’m worried that they are not very good. 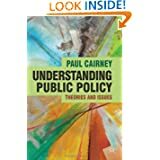 They were summaries of chapters from Understanding Public Policy, rather than first principles discussions, and lots of people have told me that UPP is a little bit complicated for the casual reader. So, when revising it, I hope to make it better, and by better I mean to appeal to a wider audience without dumping the insights. I have begun by trying to write 500-words posts as, I hope, improvements on the 1000-word versions. However, I am also open to advice on the originals. Which ones work, and which ones don’t? Where are the gaps in exposition? Where are the gaps in content? This post is 500 words.